Summer-Glau.com Forum » General Discussions » General discussion » Share your Summer Glau goodies! Share your Summer Glau goodies! Best pickup/purchase signed over the weekend. Summer Glau loved it! I told her I'll make sure the artist comes down to get the original painting signed which she did. Beautiful "Firefly Les Femmes" poster, thanks for sharing! Firefly shoes signed by Summer Glau at Supanova 2015. I love Firefly. And I love Fanshoes. And I especially love my Firefly Fanshoes that have been signed by Summer Glau. Now Summer loves Fanshoes, too! Summer signed a Terminator: The Sarah Connor Chronicles poster for a Russian fan at last year Comic Con Russia. Autograph lovely Summer Glau («Terminator: The Sarah Connor Chronicles»,«Serenity», «Arrow») personally received from her at the festival «IgroMir and Comic Con Russia 2015», 2 October. One of my favorite actresses. I am not bragging by any means but I want to show off my collection! 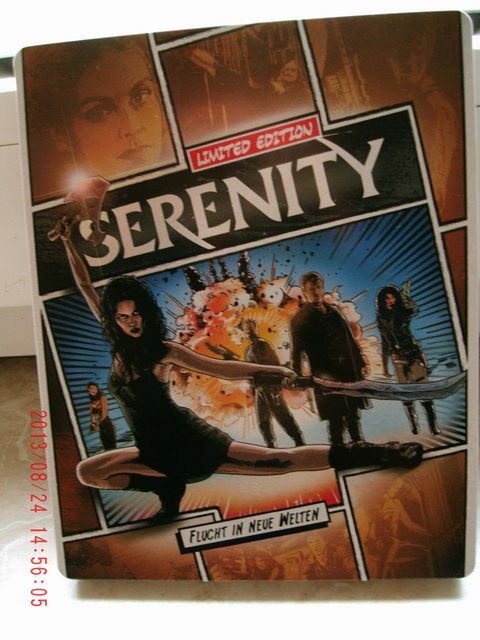 I have taken a photo of nearly everything I have that is Firefly/Serenity/TSCC and generally Summer Glau related. I am interested to see other people's collections/collectables! I have shirts and other clothing items but I won't post those here. poster signed by Summer Glau! I have it on my wishlist there. I am going to try and find it in a comic or collector's store. I have that too. But mine is a slip cover over the top of the blu ray cover.